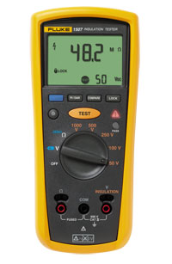 The Fluke 1507 and 1503 Insulation Testers are compact, rugged, reliable, and easy to use. With their multiple test voltages, they are ideal for many troubleshooting, commissioning, and preventative maintenance applications. Additional features, like the remote probe on these tools save both time and money when performing tests.